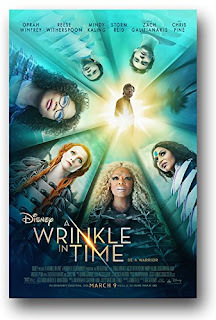 My rather critical review of the new blockbuster A WRINKLE IN TIME (2018), a big guns version of the 1962 Madeleine L'Engle novel of the same name, is now playing at Cinema Knife Fight. I really wanted to like this one. Honestly.